The President of the Institute for Governance and Economic Transformation (IGET) and former Deputy Governor of the Central Bank of Nigeria (CBN), Professor Kingsley Moghalu, will be the Guest Speaker for the 2018 Annual Public Lecture of the University of Nigeria, Nsukka’s Department of Economics on February 13, 2018. 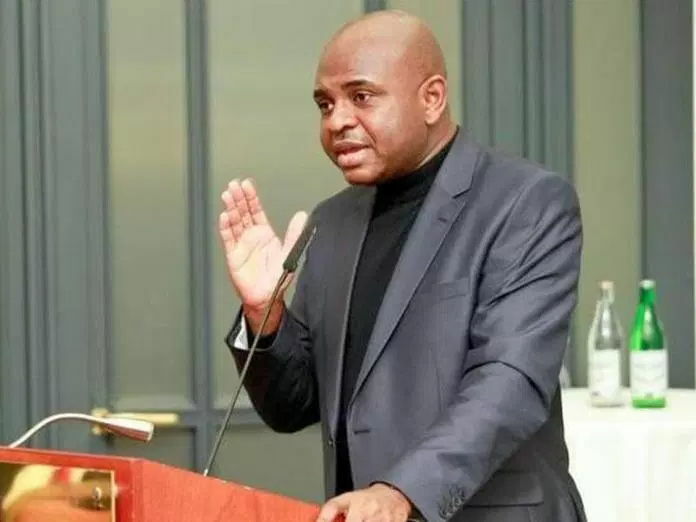 “I warmly look forward to returning to my alma mata university and engaging with students and faculty in this knowledge exchange,” Moghalu said in statement. He added: “Scientific innovation built the wealth of the rich countries of the world. Our natural resources have been a curse and not a blessing, so we must now think beyond crude oil and join the 21st century with an innovation-driven economy. This requires strong and focused public policy”. Moghalu had pressed the case for an innovation economy in African countries in his book “Emerging Africa: How the Global Economy’s Last Frontier Can Prosper and Matter”, published to global critical acclaim in 2014 by Penguin Books in London, UK. He taught the course “Emerging Africa in the World Economy” before returning to Nigeria in late 2017 and founding IGET. The institute is a think and do-tank with a mission to educate Nigerian citizens on leadership, governance and inclusive economic growth.